Hello, I saw your listing on busesonline.com. Please send me more information about Part MCI Coach DD-3 Brake Chamber New. New a/c compressor with clutch,electric unloaders,presure transducers,presure switch,shut off valves, oil.24 volt coil. 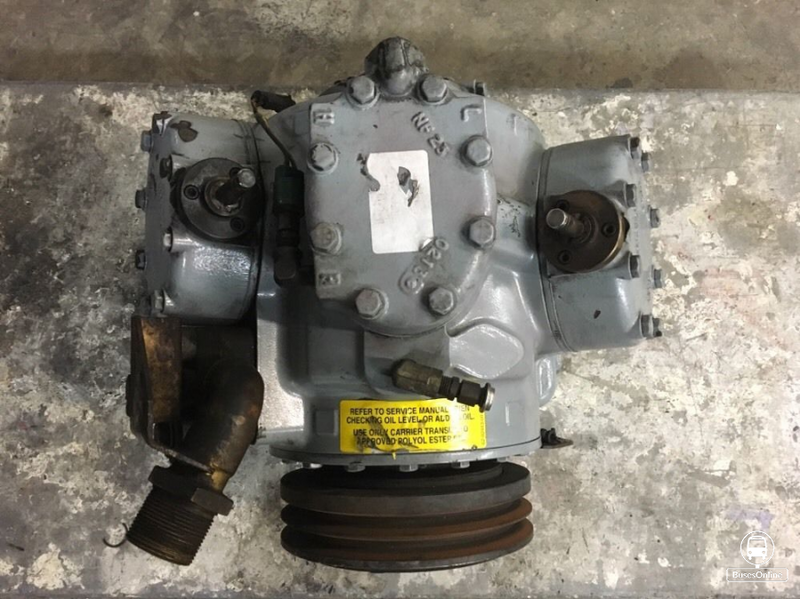 This is a 16-02-1153 MCI complete drop in compressor assembly. Set up for D and J coaches with Micromax a/c controls. (transducers could be change out with switches for use in earlier coaches). Attached clutch is a 16-02-1040. Outright sale no core required,this is new ,not reman.